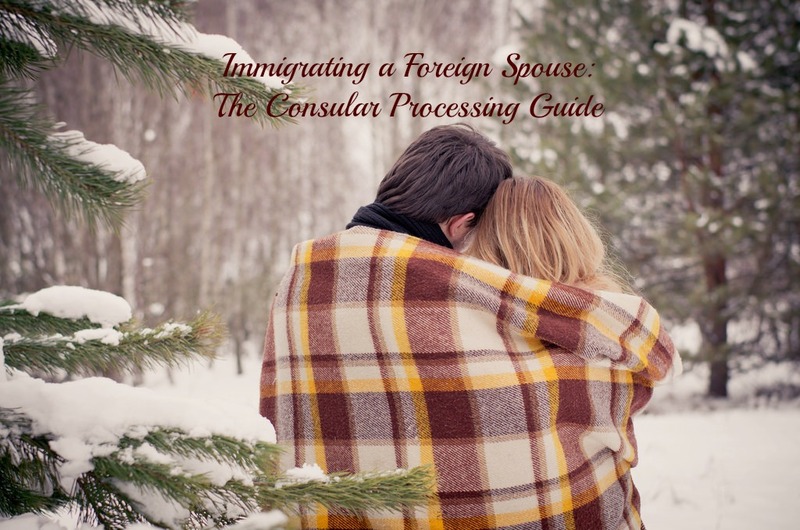 In this informational post we discuss the I-130 Consular Process for spouses. Consular processing refers to the process by which a U.S. Citizen immigrates their foreign spouse to the United States from abroad. Depending on the foreign spouse’s country of residence, and the volume of applications processed by USCIS, the National Visa Center, and the U.S. Consulate or Embassy where the foreign spouse will have their immigrant visa interview, the process to immigrate a spouse to the United States can take anywhere from 8 to 12 months. Consular processing is a complicated process. It is recommended that applicants obtain the assistance of an experienced attorney to file this type of application. What is the first step involved in the process? The first step involves filing the I-130 Petition for Alien Relative. This petition establishes that a relationship exists between the U.S. Citizen and intending immigrant. This petition thus is used for family-based immigration to the United States. A separate I-130 must be filed for each eligible relative that will immigrate to the United States including minor children of the foreign spouse. The filing and approval of the I-130 is the first step to immigrate a relative to the United States. Because this petition is filed by the U.S. Citizen petitioner, the foreign spouse does not need to wait until a visa number becomes available before applying for an immigrant visa at a U.S. Consulate/Embassy abroad. By contrast, if the petitioner is not a U.S. Citizen and is instead a Lawful Permanent Resident, an immigrant visa is not immediately available to the foreign spouse. Due to this, the foreign spouse must wait until their priority date becomes current according to the visa bulletin issued by the Department of State. The I-130 is accompanied by various supporting documents mostly biographical in nature. These documents include the signed forms, the filing fees, passport photographs of the petitioner and beneficiary, the petitioner’s proof of citizenship, a copy of the beneficiary’s passport ID page, copy of their birth certificate with a certified translation, and a copy of the marriage certificate. Once these documents have been compiled, the applicant mails them to USCIS for approval. USCIS takes approximately 4 months to process and approve this application. This time frame will depend on the volume of applications being processed by USCIS at the time of filing. Once the I-130 petition has been approved, USCIS will mail the petitioner a receipt notice known as the I-797 Notice of Action. This Notice of Action serves as proof that the I-130 petition has been approved, and more importantly indicates that the petition will be forwarded to the Department of State’s National Visa Center within 30 days. The National Visa Center is a government agency that conducts pre-processing of all immigrant visa petitions that require consular action. The National Visa Center requires the applicant to send various documents, before the application can be sent to the United States Consular unit where the foreign spouse will attend their immigrant visa interview. The NVC determines which consular post will be most appropriate according to the foreign spouse’s place of residence abroad, as indicated on the I-130 petition. Once the NVC has received all documents necessary to complete pre-processing of the immigrant application, the case is mailed to the consular unit abroad. From the date the I-130 has been approved, it takes approximately 30-45 days for the National Visa Center to receive the application from USCIS and begin pre-processing. Great news for regional center investors, medical doctors applying for a J-1 visa waiver under the Conrad 30 Waiver Program, and religious workers; a federal government shutdown has been avoided—at least until December 11, 2015. As reported in our previous blog earlier this week, Congress was faced with the challenge of voting on a short-term spending bill, a continuing appropriations resolution, that would temporarily fund the government through December 11th of this year. Yesterday, September 30th the House and Senate successfully passed the continuing appropriations resolution. President Obama signed it into law that same day.